A recent sample test done of 9300 workers in Maribyrnong resulted in showing that the majority of blue collar workers in this area were unhealthy due to high consumption of alcohol, smoking, lack of exercise or not eating healthy. Large percentages of those tested had high blood pressure and were at risk for type II diabetes. One quarter of those tested had high blood glucose levels, high cholesterol, and one quarter had a high waist circumference. 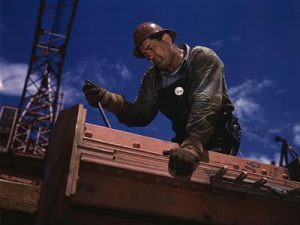 While the workers themselves were advised to cut back on alcohol consumption, start exercising, and eat more fruit and vegetables as well as quit smoking it was also noted that a workforce suffering from health issues and a unhealthy lifestyle could affect the safety and productivity on the work site. Ms. Anders stated that while the Maribynong workers health levels were on par with overall Victorian results she felt that given these health issues, that blue collar workplaces and employers were going to need to someway address the challenges that are posed by poor worker health. She stated that there was a lot that employers could do to promote healthier behaviors among workers, but gave no suggestion of what steps employers could take.